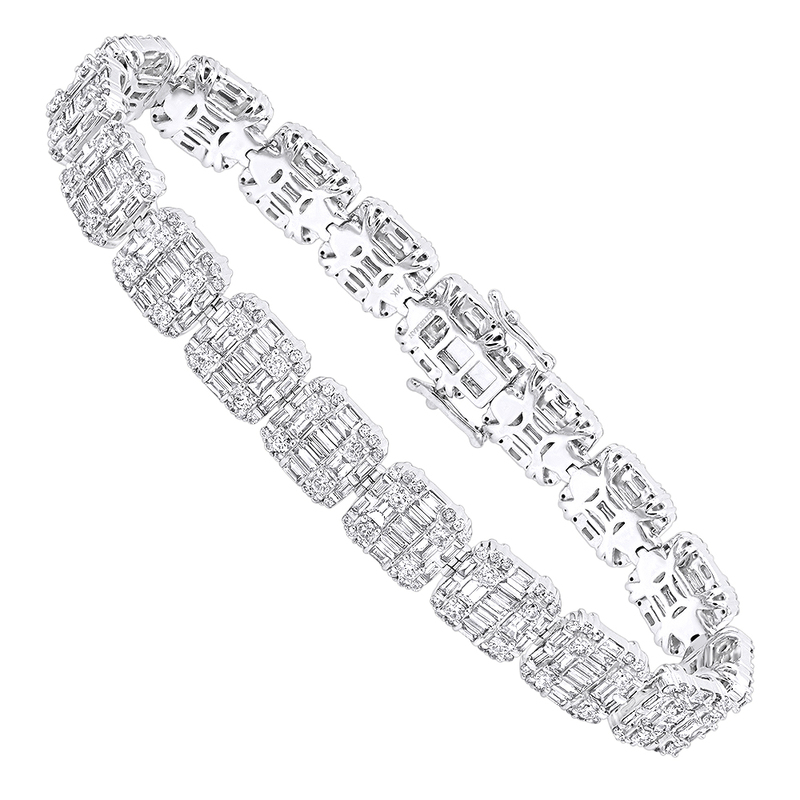 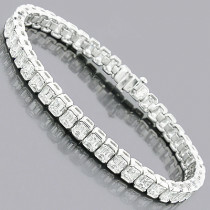 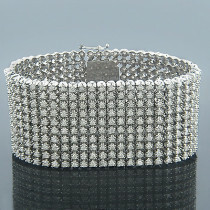 This sparkling 14k gold diamond tennis bracelet has a very classy design and can be worn by both men and women, the bracelet is crafted in precious highly polished 14K gold and accentuated with a beautiful combination of round and baguette cut miraculous sparkling diamonds placed into cushion shaped setting so the links look like large solitaire cushion cut diamonds in a tennis bracelet. 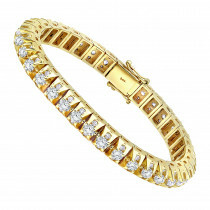 The bracelet is secured with hidden box lock to make it will stay comfortable and safe on your hand, it is about 3/8 inches wide (10mm) and can be made in the length of your choice, default length is 8 1/4in (208mm), available in 14K Yellow, White and Rose Gold as well as can be custom made in 18k gold and Platinum. 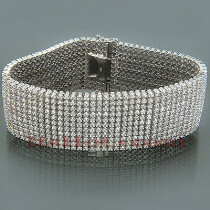 Contact us if you would like us to customize it to your specifications.